Emily Lawlor graduated from the Public Art and Design degree at Chelsea Art College in 1994 with a first class BA Hons. 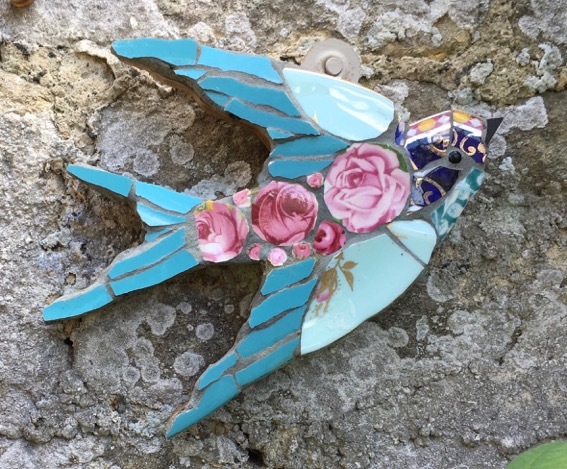 Emily Lawlor designs and creates beautiful, unique mosaic wall panels and mosaics. When the family china, inherited from Emily’s great-great grandmother, crashed to the ground several Christmases ago, the first mosaic was born. Since then Emily has been fusing pattern, colour and words into contemporary artworks with a vintage feel.